The annual migration of birds has been going on for some time now. Fall in the birding vernacular doesn’t equal calendar fall. There is a logical reason for that. Different species of birds begin their migration at different times. Shorebirds and songbirds often lead the winged entourage to warmer climes. Others trail along alone or in giant flocks to the delight of avid birders. To account for these time travel variances in the birding world, fall is the most extended season, running from August through November. The same concept is valid for trees and deciduous plants. Some species begin their winter hibernation sooner than others. Their various changing colors can foretell this annual transition. Poison ivy leaves often turn bright red before September arrives, while the glossy leaves of shingle oaks fade from emerald to russet and hang on until early spring. For me, I welcome these transitions, especially the birding varieties. 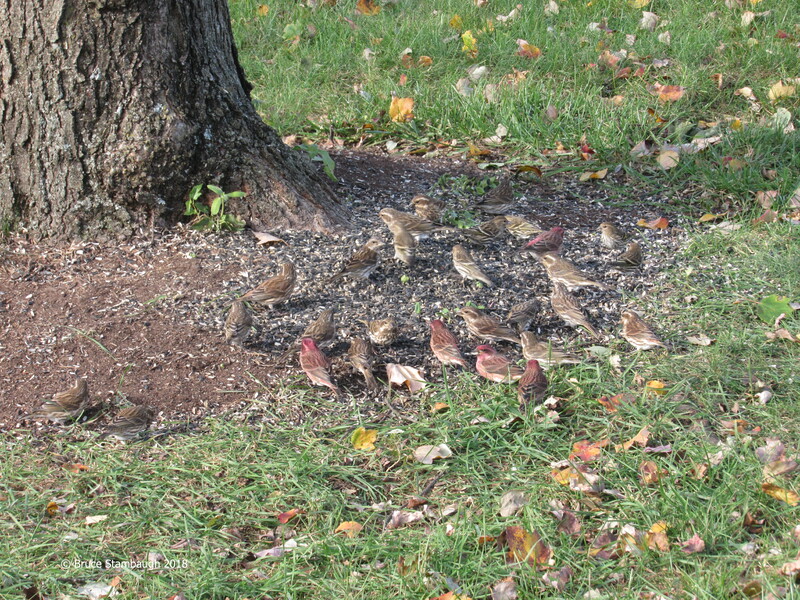 As the leaves of the red maples in our yard began to fall, birds I had not seen before began to arrive. Storms brought down many of the remaining leaves. They also blew in flocks of birds, some temporarily. Others seem here to stay. 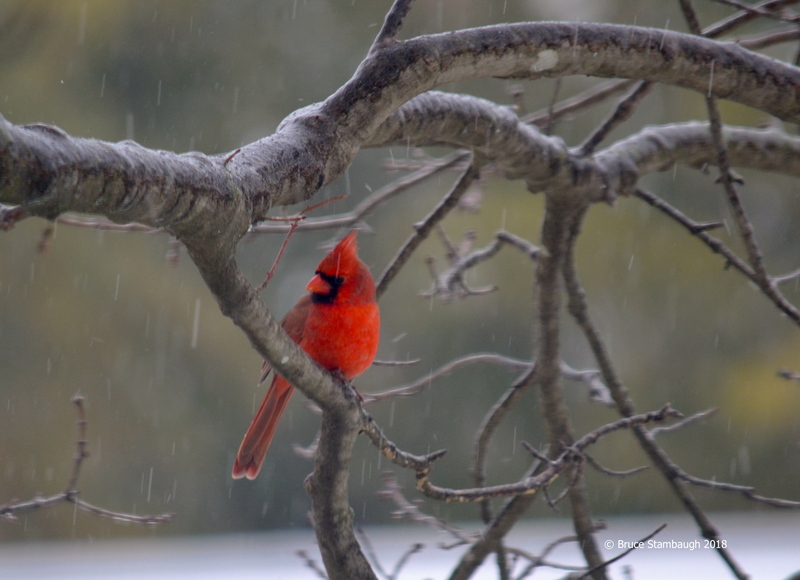 Last fall, our first in the Shenandoah Valley, birds were scarce at the feeders. The numbers and variety of birds were well below my expectations. I longed for the many beautiful birds we had had in Ohio. 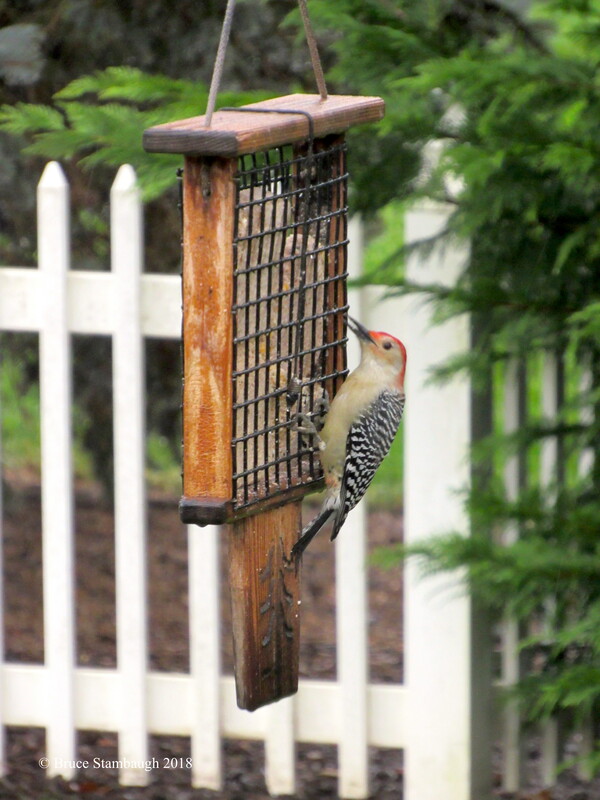 Optimist that I am, I hung the feeders again right after Labor Day and attracted a few regulars. I can always count on chatty house finches and boisterous blue jays. Once the weather cooled, the suet feeder went up in the backyard. 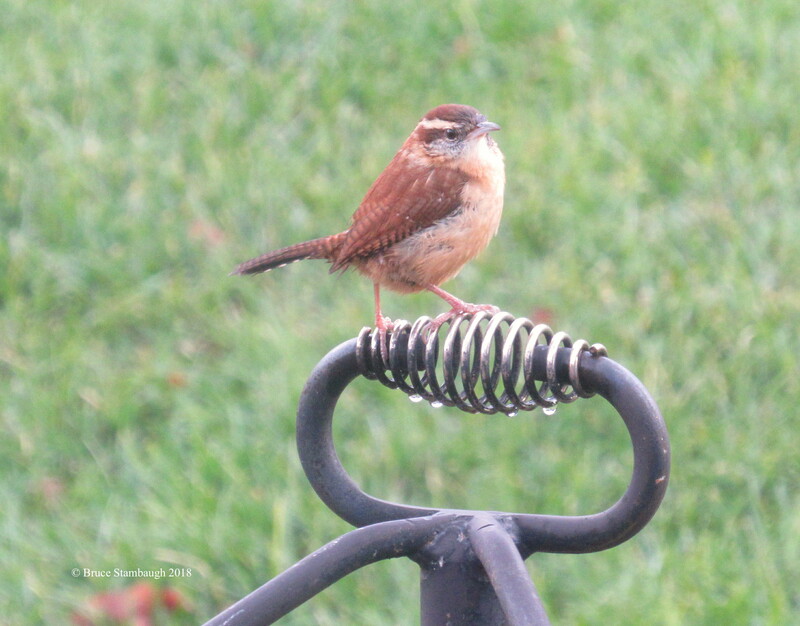 I was contented with the usual suspects, happy that even the Carolina Wrens made regular appearances. But I could not have anticipated what happened next. About six weeks ago, I noticed some birds that resembled the numerous house finches that frequented our feeders. A closer inspection with the binoculars told me that we had a small flock of purple finches with a few pine siskins thrown in for good measure. I was ecstatic. I had never had purple finches at the feeders and only had had passing pine siskins that took a break to refuel during migration. I hoped beyond hope that the birds would stay. So far they have. These are gorgeous birds, each in their particular plumage. The reddish hues of the male purple finches appear iridescent, especially if the sun reflects off of their foreheads where the winter colors are the brightest. Though much duller and muted, the rich browns and creams of the females’ feathers are equally stunning. 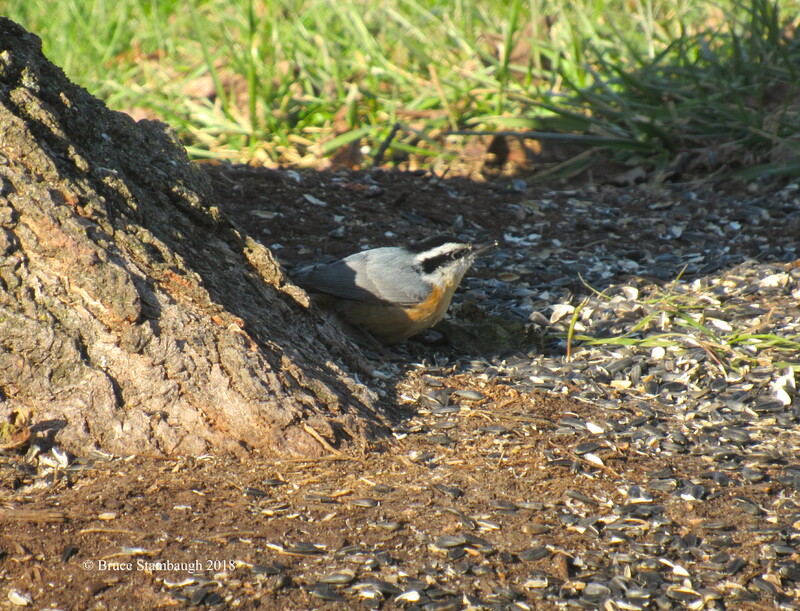 A rare visitor, a Red-breasted Nuthatch. The more demur pine siskins tend to feed with the purple finches and the American goldfinches. Their brown stripes and flash of yellow at the wing tips make them striking birds as well. The departure of the leaves and arrival of the birds mimic life. We can’t do anything about the past and try as we might, we can’t predict the future. Dull leaves and the arrival of purple finches are proof positive. To be most productive, I strive to be present in each moment regardless of what change occurs. The mystery of it all sparks a spirit of gratitude. I’m thankful the birds and trees keep reminding me that change is inevitable. 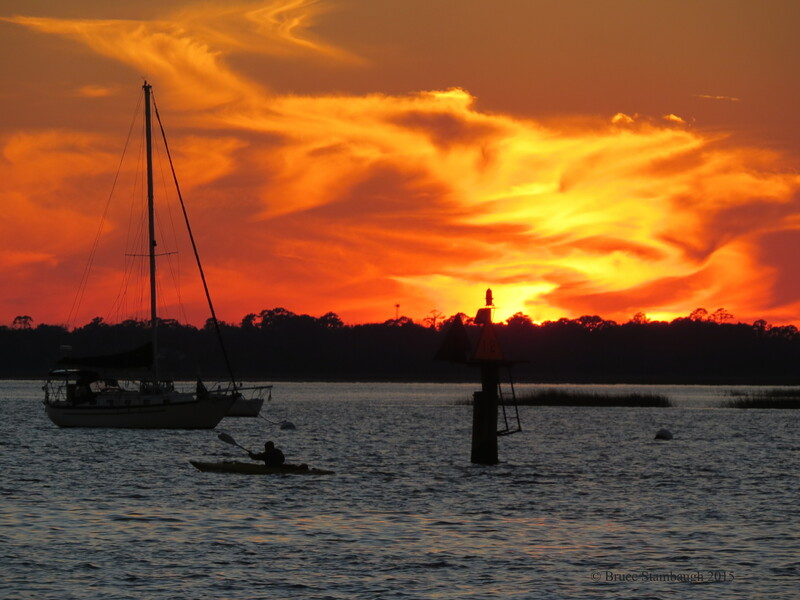 If we pay attention, we can enrich our lives by embracing each subtle transformation, seasonal or otherwise. For good or for ill, change happens. It is the way life is. There is no greater visible realization of change in the Amish culture than on the farm, at least for the mainline Old Order Amish. Mechanization is the most obvious. The grain harvest, wheat, oats, and corn, required manpower. Community circles were formed to help with bringing in the crops. The men and boys went from one farm to another until everyone’s harvests were completed. This happened over a period of weeks. Because agriculture is no longer the number one source of income for most Amish families, the rules have changed to make the harvest more efficient, requiring fewer sets of hands. The majority of Amish men now work in shops, either on their own property or away from home. Or they work on construction crews, and in local businesses. To make it easier for those still engaged in farming, which is less than 10% of the population, motorized equipment like this Bobcat are permitted to assist the harvesting process. In this case, the farmer lifted the large round bales of straw onto the horse-drawn wagon guided by his younger brothers. Previously, several farmers lifted rectangular hay bales onto the wagon, and then unloaded them into the barn, also by hand. The workhorses are essential to keeping the Amish farm Amish. They are the tie that binds the Amish to the land. 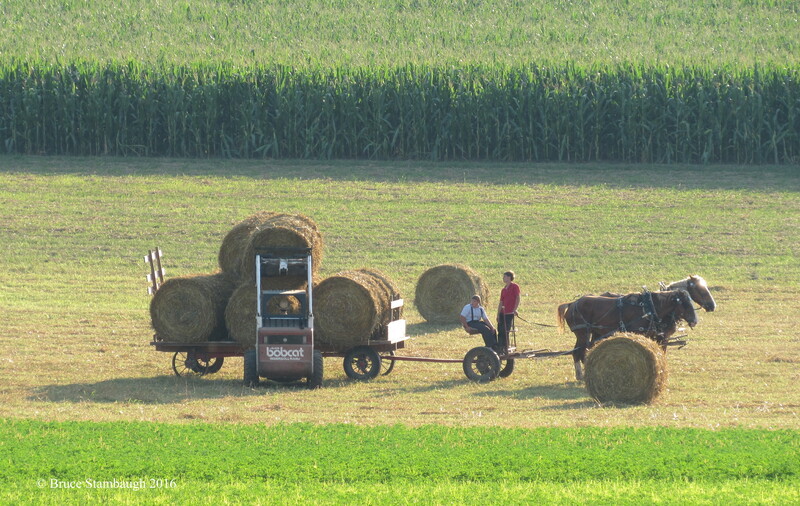 It may seem hypocritical to some, but to the Amish, it’s simply a way to keep the agricultural lifestyle. Change happens, and I suppose this young Amish farmer is glad it does. 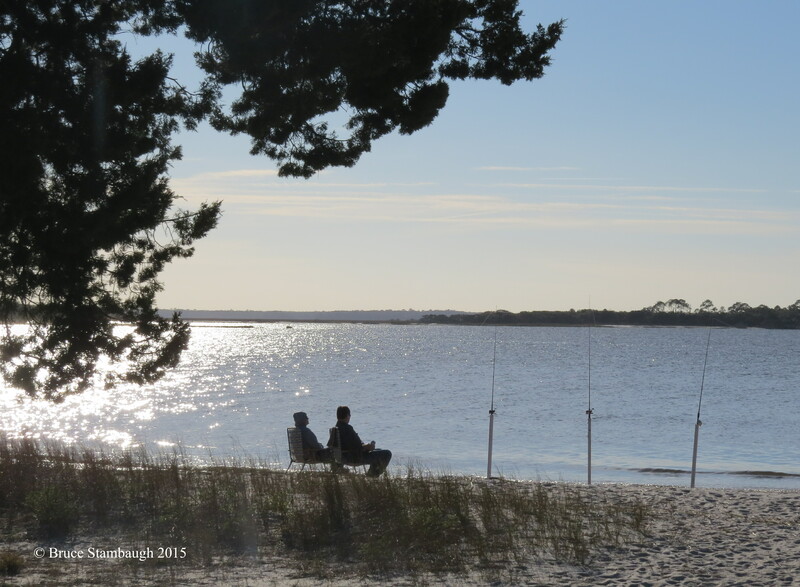 “Signs of change” is my Photo of the Week. My wife and I and two other couples, all baby boomers, sat around the table playing dominoes. Besides the antics of the game, we laughed at the anecdotal stories we shared about our particular infirmities. None in the group of six was sick. We just chuckled at our ailments brought on by our aging. Beyond the stories of goofiness and crazy interactions, a common theme arose. Though we all agreed that we still thought young, clearly, we weren’t teenagers anymore. In fact, we were all grandparents. While laughing at our gradual frailties, the game almost became secondary to our gathering. And yet, I felt a certain relief that it wasn’t just me that was feeling his age. Keep in mind that those of us in the baby boomer generation had the reputation for thinking ourselves invincible, clutching college degrees and armed with an ironclad arrogance that we could somehow save the world. Now that I need help buttoning my shirts, I know that mindset was a bit over the top. The lack of dexterity is probably my biggest frustration. I have the hardest time picking up small items from flat surfaces. Fortunately, I have a very understanding wife who at least saves her chuckling about my dilemma until she is out of earshot. At my age, that isn’t too far. My hearing seems to be fading fast, although I’ve had two different doctors check it with the same results. I’m right on the border of needing hearing aids. I’m holding off with the purchase. Man that I am, I prefer to cup my hand up to my good ear to hear conversations. Besides, the hardest frequency for me to detect is that of my wife’s voice. I’ve had bifocals for years now and get along just fine. My good optometrist ensures me that all is well physically with my eyes. I’m glad for that, as long as I can remember where I put my glasses. Memory was probably the number one issue discussed around the game table that night. There was universal agreement that our recollections were slipping. We all confessed to walking from one room to another room to retrieve an item, only to forget what we were after once we got there. Misery loves company. To help me keep track of what medications I have to take and when, I use something at which I recently scoffed. 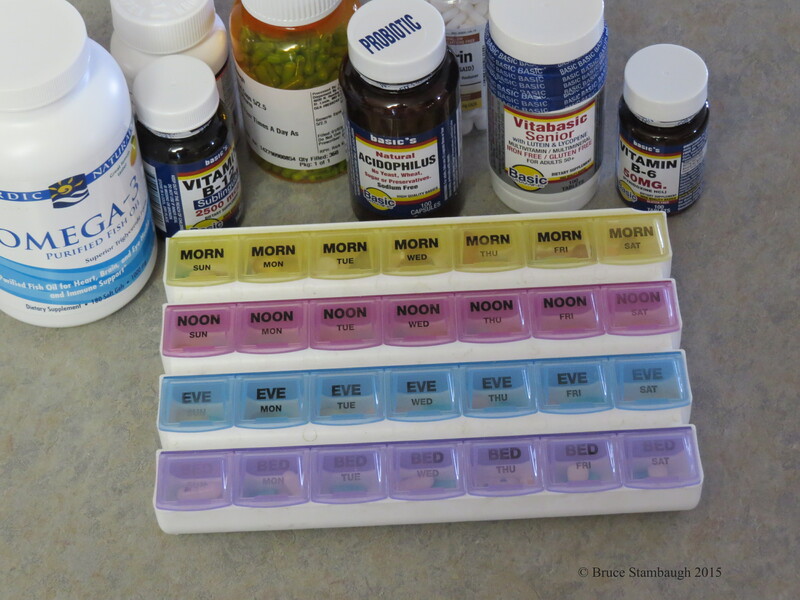 I fill a pillbox, four slots per day, with my medications. None of the spaces goes empty. Filling my personal pharmaceutical dispenser has an ancillary benefit besides organizing my pills. Every time I restock the thing I realize another week has passed. It works better than a calendar. The table talk revealed that I was fortunate compared to others. I usually have no problem sleeping. Other seniors wish they could, or require machines to keep them from inadvertently holding their breath at night. Of course the evening I wrote this, I couldn’t sleep. See what I mean? I won’t mention the gray hairs, or in my case, baldness that foretells our age. I only see the wrinkles and crows feet on the faces of others. Mine is smooth as a baby’s. 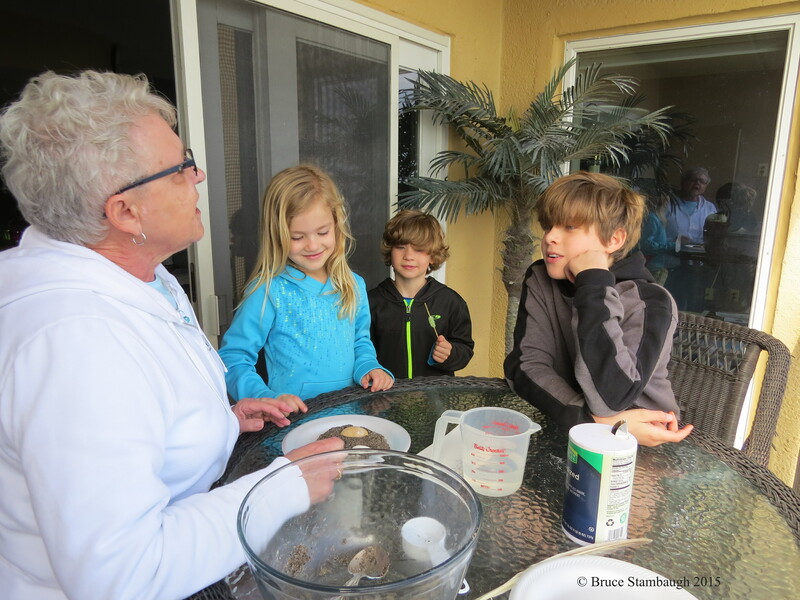 Officially defined as the years after retirement, the Golden Years usually begin at age 65. Now that I’ve crossed that demarcation, I feel a little tarnished. I’ll age as gracefully as I can. After all, I need all the grace I can get.